This has obviously not been a vintage season for Navy football. Beset by lineup problems (especially at quarterback) and injuries, the Mids sit at 3-9 overall and will not be going bowling for the first time since 2011. Navy finished fifth out of six teams in the AAC West and the Mids failed to beat Air Force in the first Commander-In-Chief’s Trophy game. That is why beating Army is almost a must for Navy in 2018. A month ago it would have been hard to make a case for Navy winning this one after a couple of miserable back to back outings against Notre Dame and Cincinnati. While the Mids have gone 1-2 since the game against the Bearcats, the performances have been massively improved to the point that there is some belief in the Mids camp that they can take down Army. For that to happen, though, the Navy defense simply has to be better. The Mids have had a problem stopping teams all season long. Navy allows 6.65 yards per play, a number that ranks as the 11th worse in the entire FBS. They also allow 34.9 points per game, a mark that is 110th in the nation. 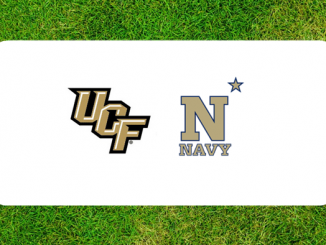 This game is going to be one where the Navy defense has to stand up against an Army offense capable of scoring points if the Mids are going to get the underdog win. Over the course of 2018 the Mids rushing attack has not been what we would expect. That has changed over the last couple of games, however, as Zach Abey has been able to lift the Mids running numbers with his understanding of the offense and his ability to put the ball in the hands of the best carrier on any given play. The Mids average 4.7 yards per rush on the season, but have picked that number up to 5.3 yards per carry over the last three games. Army has trended the other way, with 4.6 yards per carry on the season and 4.3 yards per rushing attempt over its last three games. If those numbers hold then it would be possible for Navy to win the rushing battle. Army is second in the nation on the ground with 306.6 yards per game rushing, with Navy seventh on that list at 271.4 yards rushing per game. Looking over the last three games again tells a different story, with the Mids out rushing Army by 295.7 yards per game to 292.7. It is an academy game and as a result time of possession and the ability to hold onto the football will both be key. Navy is better at taking the ball away from its opponents than Army is, with the Mids averaging 1.5 takeaways per game to the Black Knights 1.2. Both schools have also been good at holding onto the ball in 2018, with Army being second in the country in giveaways at just 0.6 per game and Navy checking in not too far behind at 17th in the nation with 1.0 giveaways per game. Obviously this shows that both defenses are going to have issues turning over offenses that are well oiled and good at what they do. As an underdog in a neutral site game it is imperative that Navy figures out a way to win the turnover battle in Philadelphia.